Rife with culture, Pasadena shines as one of the most tourist-friendly neighborhoods in Los Angeles. 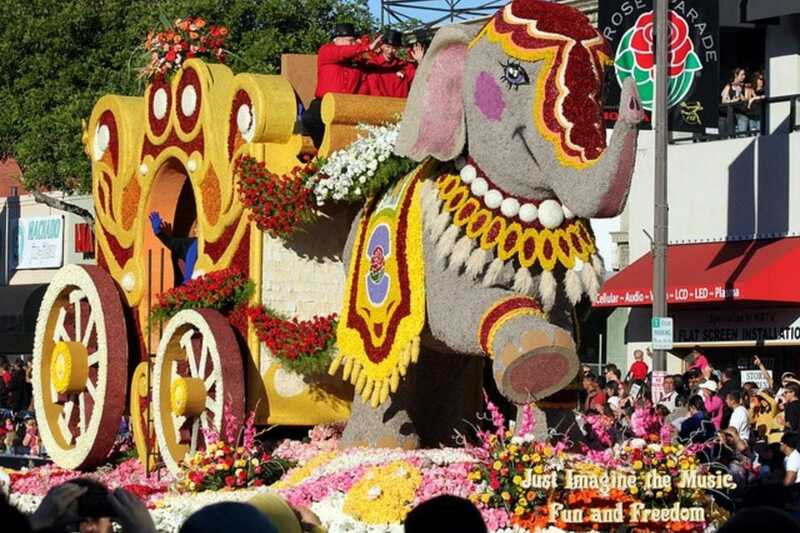 Huntington Library, Art Collection, and Botanical Gardens is fun for the whole family while college football lovers cheer for the annual Rose Bowl, accompanied by the famous Tournament of Roses Parade. Stay at the landmark Langham Huntington Hotel, tucked away in the San Gabriel Mountains; this hotel has treated visitors with comfort and elegance since 1909. Cultural and historical landmarks galore! Pasadena, most famously known for its Tournament of Roses Parade and Rose Bowl football game, revels in gorgeous blooming flowers and orange trees in the midst of winter. Huntington Library, Art Collection and Botanical Gardens is a must-see site and perfect for families. Check out the Pasadena Museum of History, Pasadena Museum of California Art, and Pacific Asia Museum to soak up rich history and art. Pasadena boasts celebrated cuisine of every culture! Try unique Japanese-French-fusion fare, like duck pate or oyster flan, at Maison Akira. President Thai and Saladang Song compete daily for "Favorite Thai Restaurant" accolades. Italian, Indian, and Mexican restaurants like El Cholo Cafe complete the diverse dining landscape of Pasadena. Dessert aficionados rave about the sweet offerings from Euro Pane. You'll never go thirsty in Pasadena! Toro Sushi Bar Lounge hosts an awesome Happy Hour all day on Sundays and Mondays and late night on Tuesdays, in addition to post-work evenings. Barney's LTD boasts an all night Happy Hour on Mondays and 11pm-1am on the weekends. Wine lovers flock to Bodega Wine Bar and Vertical Wine Bistro for exceptional wine and extraordinary service. The Langham Huntington Hotel in Pasadena offers the best of the best in Pasadena, where you can live in a lap of luxury while vacationing your worries away! Tucked away in the San Gabriel Mountains, this landmark hotel has treated visitors with comfort and elegance since 1909. Dine at the Royce, enjoy massages at the decadent spa, or gather your golf clubs for a game on the gorgeous course--it's all here! Old Town Pasadena is anything but ancient! Contemporary shopping, dining, and entertainment intermingle to form the perfect destination for visitors and locals. A lively business district with unique boutiques like Elise B. and L3 Boutique, Old Town Pasadena flaunts popular brands like H&M and the Forever 21 flagship store. Dining choices are aplenty; check out hot, new hangouts like Haven Gastropub and Culture 22 for fabulous French cuisine.